See you at the 4YNW? See you at the 4YFN? The Mobile World Congress lands in Barcelona, and at BeRepublic we are finalizing details for our participation at the 4YFN, the international business and networking platform aimed at the tech startups worldwide community. 4YFN brings together the best mobile start-ups and entrepreneurs with investors, accelerators, incubators and big corporations from the digital and non-digital world. You can also enjoy many outstanding activities and conferences. 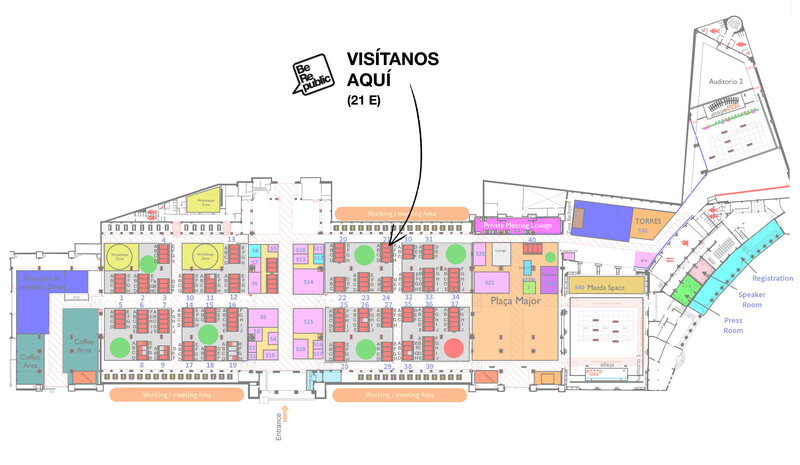 You will find BeRepublic team at the 21st booth – stand E (21E). Come and discover everything we can do for you!